“Last week, Publetariat was named one of Writer’s Digest’s 101 Best Sites For Writers for the fourth year in a row, and this year it was also singled out as one of the “Best of the Best”. My heart sank. As a website owner who relies on this site and other web assets for my livelihood, I was completely aghast. “As a totally non-profit, volunteer-staffed site, Publetariat lacks the resources and staffing to keep recovering from these malicious attacks. April has helped thousands of indie authors get started in publishing, and was an early pioneer online. She has also reprinted and publicized my articles as well as those of numerous other bloggers in the indie field, and also provides our content to Kindle Nation Daily. “The site is so badly damaged that the only way to bring it back would be to completely rebuild it from the ground up, then spend many days massaging the database to extract all the past five years’ worth of content. For now, I’m just leaving the message up for anyone who visits the site and stepping away from the whole thing for a bit…I’m pretty devastated. 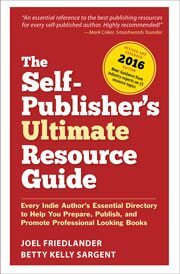 I really hate the thought that we are going to lose this unique resource and its vast archives of information that’s so useful for indie authors. April has said that if she can find some help from people who know Drupal, she will try to re-establish Publetariat on a WordPress platform. You can contact her at indieauthor@gmail.com if you think you can help with either technical or financial assisstance. In a front-page story on Wednesday, “New Publisher Authors Trust: Themselves,” Times writer Leslie Kaufman reported that legendary author, playwright, and director David Mamet had announced he would self-publish his own book. Like lots of other authors, Mamet is intrigued by the opportunity to take control of his publications and to do the kind of promotion and marketing even he doesn’t receive from his publishers. That seems like a very smart idea. Although we all “ooh” and “aah” whenever a big-name author decides they want to stick a toe in the indie waters, that’s not really what self-publishing is about, at least to me. For every David Mamet or Jim Carrey or Joan Collins, there are literally thousands of writers who have been able to get into print, many for the first time. And savvy authors are making money at publishing, too. As I’ve been saying here for a long time, you don’t have to sell millions of copies to make an impact, or to make serious money. 10,000 copies of a print on demand book can generate $60,000 in income, an amount that can be life-changing for some people. Those thousands of authors, most of whom we have probably not even heard of, are the real story of self-publishing in my mind. Despite a well-written article that was interesting to read, Kaufman fell into a familiar trap when she said, “Once a backwater of vanity presses for authors who could not get contracts with mainstream houses, self-publishing now accounts for more than 225,000 books annually…” This is a ridiculous statement on its face, and you would think a Times reporter would know better. The long history of self-publishing has little to do with vanity presses in any historical period. In fact, books produced by vanity presses are not self-published by any definition. There is another history, perhaps less well known because the authors were trying to keep it quiet. And that history is mostly of niche nonfiction authors who have known for many years that with the right access to interested buyers, they could control their publications and make quite a bit more money by publishing high-quality books themselves. But we remember, don’t we? Despite a hacker attack on my service provider’s servers (not the same as April’s problem) that took all my sites offline on launch day Tuesday, authors have been using their coupon codes to get our Word templates at a huge discount. If you missed my post earlier this week, by using the coupon code book41 you can save 41% on any templates in our store. We now have 9 different designs, for fiction and nonfiction books, each in several industry-standard trim sizes, and each with an ebook version, too. The sale runs through April 30. If you haven’t had a chance to look at the new nonfiction templates, they are quite complete. Each comes pre-formatted and with styles for subheads, pull quotes, extracts, notes, bibliography, and more. And every template comes with the fonts used in the design, too. If you plan to do a book in Microsoft Word, save yourself hours of frustration and have a look at our tasteful templates. They come with an extensive Formatting Guide that shows you step by step how to use them. Click the banner below to go check these templates out now. Regarding David Mamet, you might want to hop on over to this interesting article about Mr. Mamet by writer and blogger David Gaughran. ICM Partners, along with many well known agents, have signed on with Perseus Books-owned Argo Navis. It’s an invisible form of terrorism, cowardly and senseless. I’ve been lucky, so far, but then my work on-line is minimal. UPDATE: Writer and web developer Shawn E. Bell (shawnebell dot com) has very generously volunteered his time to resurrect Publetariat for all of us. Shawn also offers author services for indie authors and small imprints; I’m encouraging everyone who’s looking for freelance help with their indie books to repay his good deed by including him when going out for bids. I am hopeful that with Shawn’s help, Publetariat will be back online soon. It may take me additional weeks or even months to build up full site functionality, but the content will at least be there, and I think that’s about 90% of the site’s value. Joel, thanks very much for posting this, and for your support. I’ve been contacted by a number of developers who have offered to volunteer their time to get Publetariat back up and running. One specifically mentioned you as a point of contact, so thanks for helping to spread the word. With the generous assistance I’ve been offered and a little time, I hope to re-launch the site soon. That’s great news, April. Keep me in the loop and I hope it’s not too long before you are back up and running. Joel, thank you for posting about Publetariat issues. I have been designing/developing websites since 95, and honestly, I’m considering stopping (or drastically scaling down) my business. I’m just not sure I can feasibly continue in this line of work. Why? Well, these days, hacks are much more frequent. Websites (and this is what I hope to share with your readership), such as WordPress and other content management systems, REQUIRE a good maintenance plan and regular backups to stay online and prevent issues. Plugins (WP/Joomla/Drupal, etc.) need to be continually updated to the latest release to close up “security holes” in the code. This work takes time, but it is so important. The bottom line for your readers: Please, please, if you have a website, keep all of your plugins and your website system (WordPress for example) up to date! And do backup your site regularly! You can either learn how to do it yourself or pay someone to do it for you, but if you don’t, eventually, your website will not function as intended. And if your website helps pays your bills, can you afford not to keep it as safe as possible? Wise words, thanks much, Kelly. I am glad someone has stepped up to help someone who has helped so many others. I don’t know Drupal… but I wish I did. Awesome coupon, Joel. I shared. So sad when people go through what April is dealing with. I have my fingers crossed that she can get back up and running. WRITE ON! Thanks for the share, Jo. See April’s comment below.